Items may be returned if not as described within 30 days of receipt of item. Items must be returned in the same condition as when they were received. 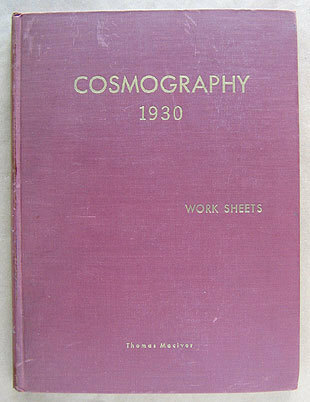 Title: Cosmography 1930: Work Sheets Author: Thomas Mciver Thomas Maciver, Chicago, 1943. 8-1/2 x 11 Cloth; 68pp. Ex-Library with Drake University Library book plate, red cloth boards with gilt lettering to front, text unmarked, binding is tight, Good condition. 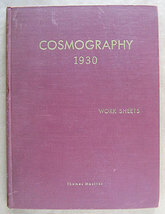 A modern system of reasoning based on the theory that there must be a sustaining and controlling force that continually governs the limited motion of the earth. Presented as series of principles in numbered paragraphs. Unorthodox science.